Hate going from places to places just to know what properties are for sale? Why don't you try online real estate bidding? Yes, there are already a lot of properties that were sold online. And mind you, there are already a lot of homebuyers who are too busy to look for a property but had already invested in a particular property. Of course, they did a successful online real estate bidding. Well, if you are planning to invest in a real estate Cebu, or any other real estate property, then try online biddings. Most homeowners prefer online real estate bidding than going to places, which is more likely to be inconvenient due to heavy traffics and other stressors. However, convenient as it may seem, not all homeowners are successful when it comes to the bid that they make. Perhaps, they lack the ability to make their bidding on top of the other bidder. And I'll tell you, there are a lot of interested bidders who are also willing to have the property that you want. That is why, you have to be very careful in making some bids. If you just know the basic thing to do when it comes to your bid, you will eventually realize that bidding online is not as hard and bad as you think it is. Well, you are willing to try bidding online for your new home, and then you might want to try these simples tips below. Knowing your limits is very important as a bidder. You have to know the reason as to why you bid, which of the houses you like the most and you want to have. When you do, then still to it, don't bid on the other properties that you don't need. Moreover, you have to know your limits, especially when it comes to the money that you are bidding. As a real estate bidder, you have to remember that your focus is to achieve your goal and get your desired house. Make a good win that makes sense to you. But if you think that you are bidding on a wrong property, then don't pursue it. As a real estate bidder, you have to know every single detail of that particular property that you want to invest. Of course, you should not waste your money on the property that you think you are not sure that you are going to purchase it or not. Moreover, make sure that the property that is on its absolute basis, which means it will be sold then and there. When you are careful on its documentation, then you will not regret your decisions later on. One of the many things you can do to know what you are bidding, it is best for you to see the property in person. Well, it is also best for you to know the physical features of the property that you want to have. 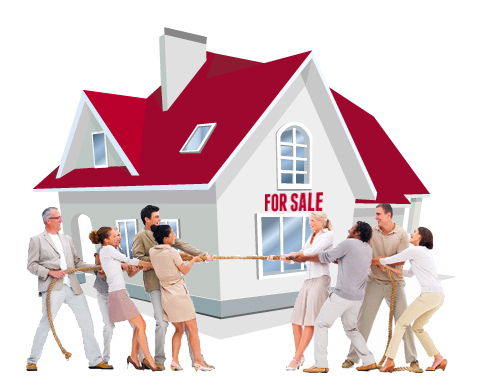 Moreover, as a real estate bidder, you have to do your research before you deciding to join in a particular bidding. Also, one of the best ways you can do to prepare and win the bidding is to attend an open house or property showing, and review any information or due diligence provided on the property. Yes, you want to win in a bidding. But how sure are you that you are going to win when you don't have the exact amount that is intended for the purchase of your soon to be new home? Your money is important in the bidding. If you think that you cannot be on the top of the other bidder since you don't have the amount needed for the purchase, then you better be prepared for the next real estate auction. With that, you might be interested in the next properties that they are going to show to you. When you decide on what kind of property that you are going to purchase, and you have to exact amount for the down payment, and then you better make a deal real quick. You to know the seller's term for you to successful have your dream home. Of course, it's should be a win-win situation for you not to regret your choices later on.